Cultural heritage is among the main features making Italy known worldwide. Numbers leave no doubt: more than 50 sites and 8 intangible items belonging to the World Heritage by the UNESCO (ranking first in the world). The relevance of this topic is also recognized at a supranational level; evidence of this is provided by many events, such as the European Heritage Days promoted by the EU since many years or the proclamation of 2018 as the first “European Year of Cultural Heritage”. But, surprisingly, considering cultural heritage as an asset, from an accounting perspective, and exploring the possibility to give it a book value is still a taboo to many Governments. In fact, this topic raises many unresolved issues about these assets’ definition and classification, their recognition in the financial reporting documents, their measurements and disclosure. 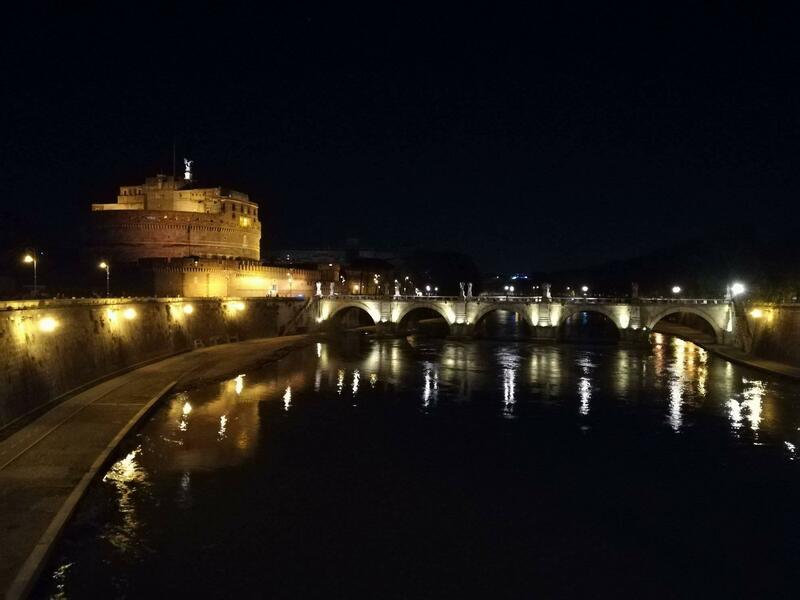 While, at an international level, the publication of the Consultation Paper “Financial Reporting for Heritage in the Public Sector” by the International Public Sector Accounting Standards Board -IPSASB demonstrates a growing interest towards this topic, Italy still lacks attention. Under a theoretical perspective, this stream of research is rooted in the New Public Management paradigm, according to which private sector accounting tools and techniques can enhance efficiency, effectiveness, transparency and accountability on the use of public resources. Osborne (2010) has sought to initiate a debate on what constitutes “good public governance”. In the debate over the new public governance, the role of accounting and the particular challenges it faces in providing robust information for good governance has been taken for granted. The debate launched by Osborne reflects a preoccupation with changes in the nature of the delivery of public services, with changes in structures, partnership working and network organizations. However, the accounting practices of government organizations remain contentious. This is best illustrated by the move to make government agencies adopt full accrual accounting as in commercial organizations. This policy has proved problematic, with particular difficulties over heritage assets. This issue of the availability of objective and precise accounting information is of particular importance, given the need for quantification and measurement in good public governance. The objective of measuring what constitutes “public value” with new and qualified tools has become a topical issue in good public governance. As part of this trend to improve measurement, the international accounting standards movement has increased the momentum for new forms of accounting in government organizations. 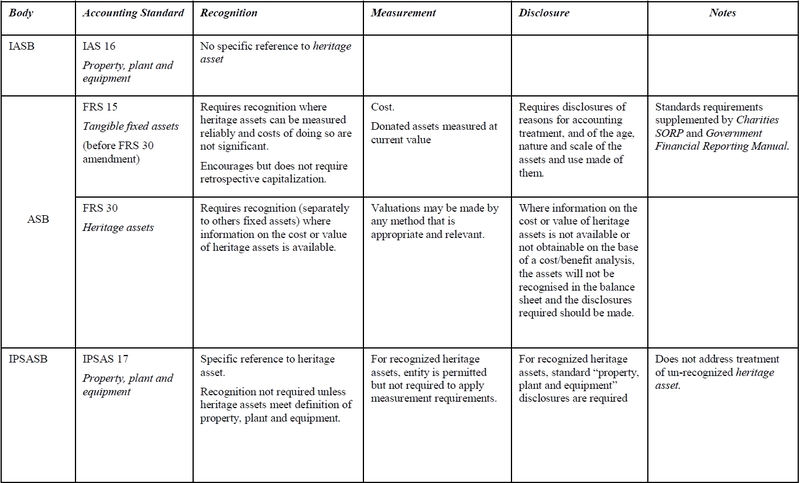 Some key results of our research are: there is no unanimous or common definition of “heritage assets”; it is not clear what “public value” can be attributed to heritage assets; if accounting standards are applied at all to this category of assets, there may be a case for specific forms of heritage asset accounting to be developed for public sector entities and this would extend beyond narrow financials to embrace qualitative indicators. Consequently, this contribution analyzed heritage assets accounting for the public sector entities both nationally and internationally. To this end, it explored the main controversial aspects related to heritage assets reporting in order to contribute to the debate on the possibility to issue an international public sector accounting standard for this particular kind of assets. We showed how definitional problems can be exacerbated by particular accounting practices which do not provide quantification with precision, but which actually obscure or even obfuscate, which could blur stakeholder understandings and undermine good public governance. Many of you will remember the movie “Tototruffa 62” where the famous comic actor Totò tries to sell the Trevi Fountain to a tourist… Well, if questions as “How much is the Trevi Fountain worth?” or “Is it possible to recognize this value in the Balance Sheet of a Government?”, and so on and so forth, intrigue you, this contribution will give you some good insights in finding an answer – or at least to start thinking about. Biondi, L., La valutazione del Patrimonio Culturale nel bilancio delle Pubbliche Amministrazioni. Accounting for Heritage Assets, Wolters Kluwer – Cedam, Milano, 2018. Biondi, L. Lapsley, I., Accounting Transparency and Governance: The Heritage Assets Problem. Journal of Qualitative Research in Accounting & Management, Vol. 11 No. 2, 2014, pp.146 – 164. Lucia Biondi, Assistant Professor, Department of Business Studies, Università degli Studi Roma Tre.